Pay tribute to the nature, art and life of Tuscany with the Nesti Dante Emozioni in Toscana Villages & Monasteries Soap. This relaxing, natural soap conjures up aromas of old churches and traditional Tuscan villages with a blend of earthy and floral tones. The enchanting composition transports you to the great hall of an ancient church, as waves of sweet-smelling incense hypnotise your senses. Handmade in Italy, the soap is made through a traditional saponification process with a blend of natural olive and palm oils, ensuring the highest quality soap that will leave the skin feeling soft, cleansed and subtly scented. 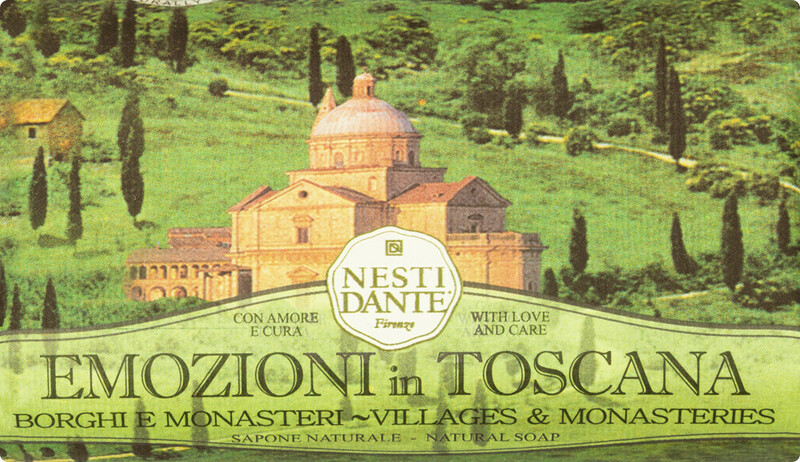 Nesti Dante Emozioni in Toscana Villages & Monasteries Soap 250g is rated 5.0 out of 5 by 1.